Only second to my obsession with museums is my obsession with ramen (as evinced by the many noodle photos in my Instagram feed). Since moving back to New York, I’ve had the chance to sample a lot. 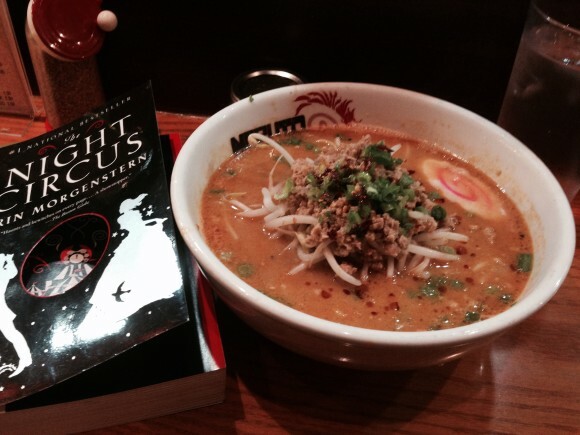 I welcomed myself back to New York with some spicy miso ramen at this Asian-fusion place in Tribeca. 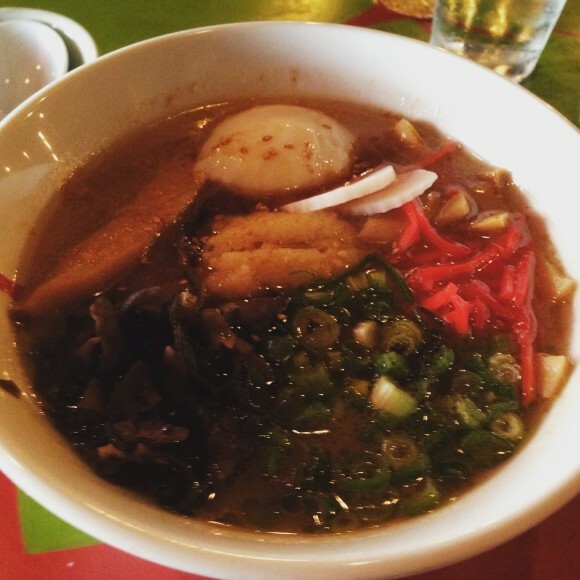 While the flavors were good, the broth was only warm instead of piping hot — maybe because it was a sweltering August day. But even in the heat and humidity, I like my noodle soup to be hot hot hot. Plus at $14 it was a little overpriced. 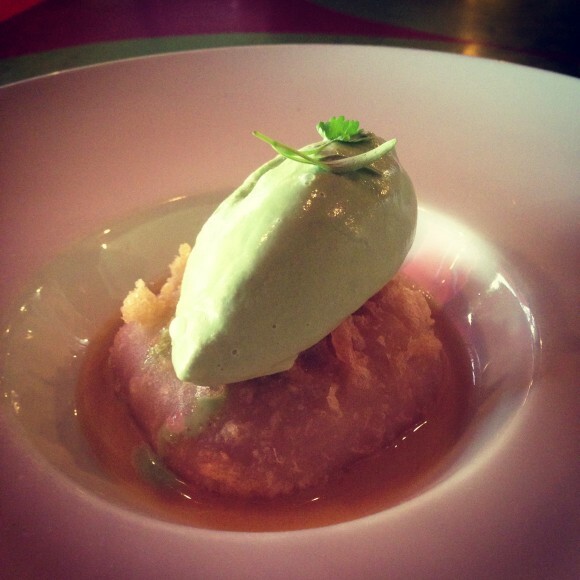 However, my dessert, a mochi tempura (with red bean mochi and green tea ice cream) was delicious. Recently, I went back a second time and asked for my tonkatsu ramen to be “extra hot,” and it came out much better. 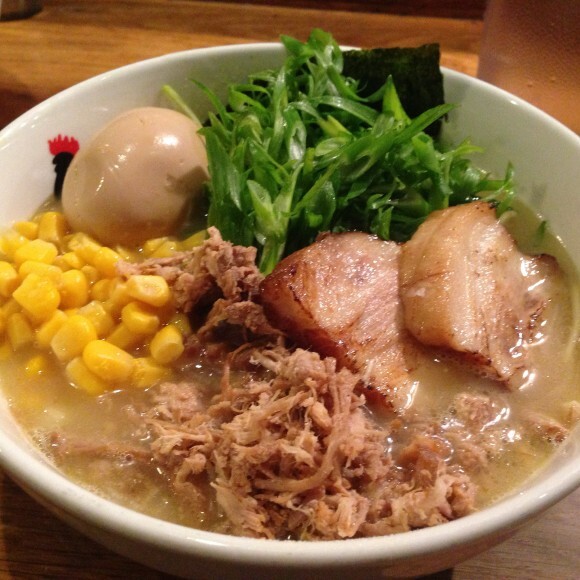 I used to go to Setagaya regularly when I lived on the Lower East Side, and it’s still one of my favorites. This past summer I paid it a visit and had the spicy miso. It had a lot more flavor than the spicy miso at Zutto, but it was a lot saltier than I remember. Or maybe I’m just older and can’t handle so much sodium anymore. A find by my friend Aki, who’s a whiz at sifting through Yelp reviews to unearth good restaurants. 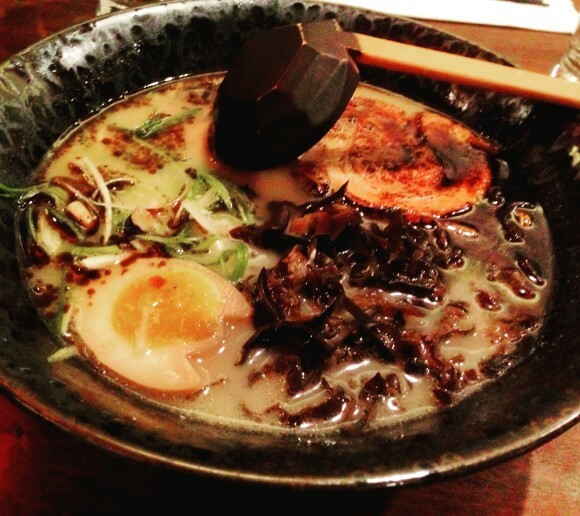 We tried the West Village branch, where I had the shoyu ramen in pork broth. I don’t know if it was because I was starving, but it was one of the best bowls of ramen I’ve ever had. The soup was very rich and flavorful without being crazy salty, and the pork was melt-in-your-mouth. After I moved into my new place on the Upper East Side, I noticed that there was always a line outside this place. Partly that’s because there’s only counter seating, but I suspected that wasn’t the only reason. Finally, one day I decided the wait would be worth it. However, luckily for me, a seat for one opened up just as I got there. I knew I should have probably tried the classic Naruto Ramen, but the Tan Tan, ground pork in a spicy sesame broth, sounded really good. And it was. So good that I had it again the next time I went. 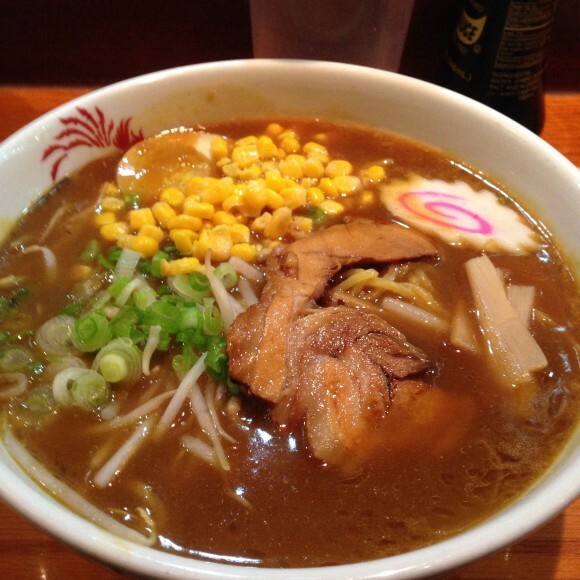 The third time I was with Aki, my partner in ramen. I decided to change things up and got the curry ramen. Again, delish! 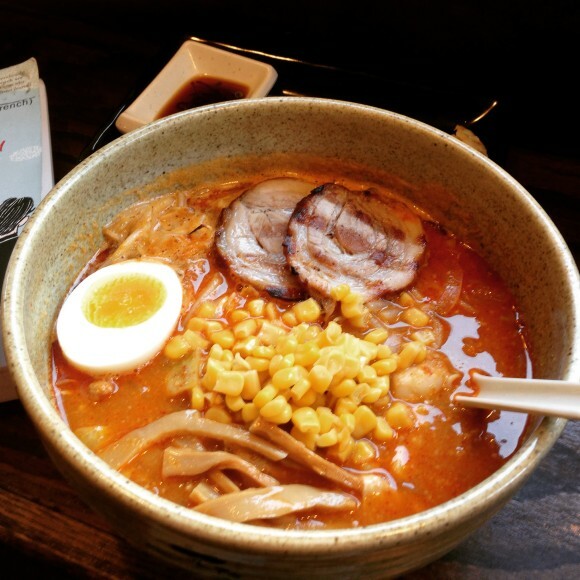 Naruto also has a spicy ramen which you can get mildly spicy (1) all the way to burn-your-face-off spicy (5). My first visit, the large Korean man next to me got the level 5. He had no problem scarfing down the whole bowl although he was sniffling and sweating the whole time. My second visit, a skinny white dude tried to order the same thing. “It’s really spicy,” the waitress (who was Asian) warned him. “I know,” the guy said. I felt kind of bad for him, but I knew what she meant: this was not white person spicy. It was Asian person spicy. It was make-a-large-Korean-man-sweat spicy. In the end, he relented and got the level 3. I didn’t see how that turned out. Another Aki find. I thought the ramen at this spacious Upper West Side restaurant was quite good, and we liked that they offered a “less salty” option, which we both got. The only downside was that the place felt crowded and super-busy. I guess I prefer counter-only seating, like Setagaya or Naruto, or just a few tables, like Ramen-Ya. The chicken logo should have been a dead giveaway. My friend Ellen and I had just finished seeing An American in Paris on a chilly night so we thought this popular Hell’s Kitchen joint would be the ticket. I was dismayed to see the broth was chicken only, but thought I’d give it a go. After all, I love chicken soup. We had a short wait, but the restaurant utilized our waiting time efficiently by taking our orders while we were still in line. I got the chicken paitan with pork. Looks amazing right? Well, it was only so-so. First of all, it wasn’t just not-hot, it was lukewarm. In fact, the middle of the egg was cold, and the yolk was hard instead of soft-boiled. And while the pulled char siu was yummy, the slices were dry and, again, almost cold.